Isle of Man stamp collecting is the perfect way to discover what makes the Isle of Man so special - our talented stamp designers and artists are masters of presenting these miniature 'works of art' perfectly whilst the story behind the stamps are explored and written by our knowledgeable group of researchers who know the Isle of Man inside out. Collect Isle of Man stamps and we guarantee you will not only find out facts and snippets about the Isle of Man that you never knew before but you will also be astounded at the wealth of 'Manx Connections' around the world. Many famous people, notably in the arts, literature, and the sciences, were born in the Isle of Man. Nature thrives throughout the seasons, sport and sporting heroes abound, enterprise is encouraged and individual achievement regularly exceeds expectations for a small country of such modest size and population. This diversity is reflected in our world-renowned stamp collections. In 1767 His Majesty's Postmaster General established a Post Office in the Isle of Man and introduced a mails service to and from the Island. At first Douglas was merely a Sub Office but it rose to Head Post Office status in 1822. 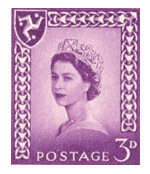 Administration of postal services remained under the control of the British Post Office (now Royal Mail) and up to postal independence the stamps used in our Post Offices on the Island were known as regionals - featuring a small portrait of Her Majesty the Queen and a three legs symbol to signify the Isle of Man. 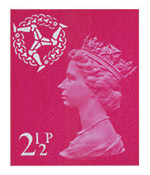 Similar stamp designs were used in Wales and Scotland to signify national identity. 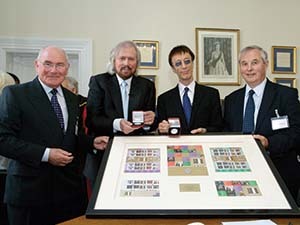 On July 5th 1973 the Isle of Man Post Office Authority officially became an independent Postal Administration. 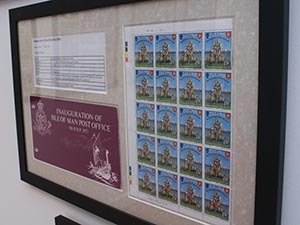 Independence heralded the beginning of Isle of Man stamps specifically designed for exclusive use in the Isle of Man - this landmark occasion resulted in a new collecting area for philatelists and Manx stamps soon made their mark with collectors all over the world. From postal independence through to the present day our main aim has been to provide the best possible service to our collectors. As a result many account holders are not simply customers but friends. It gives us tremendous pleasure to welcome visitors to our office or to get letters of appreciation from satisfied customers. 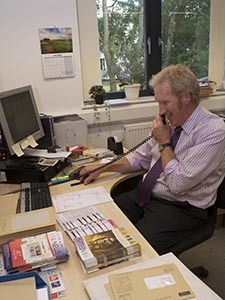 We pride ourselves on providing a very personal service to all our customers. We avoid answer phones, preferring to handle your enquiries, no matter how small or complex, in a friendly and efficient manner. 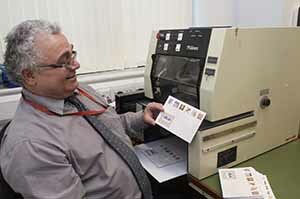 Most of the staff have worked in Stamps & Coins for over 15 years, so our knowledge is deep rooted and extensive. In addition, we have a very good network of external contacts within the stamp and coin world which we are happy to share with you. We produce and assemble a select range of value-added products such as the year collections, presentation packs and first day covers. We supply customers with their standing order requirements four times per year and once per year for the year collections and album pages. I have collected Manx stamps since Postal Independence in 1973. In all of this time, I have never failed to be amazed at the wide range of subjects covered and by the sheer quality of their designs and presentation. Even now, I look forward to the latest releases which always give an insight into life on the Island. I placed an order for Isle of Man Railways and Tramway sheet - this is absolutely delightful! I have very happy memories of holidays on the island, when we made the most of the various forms of transport!